The island of Castaway Cay is one of the stops that a Disney cruise makes during its time out in the high seas. 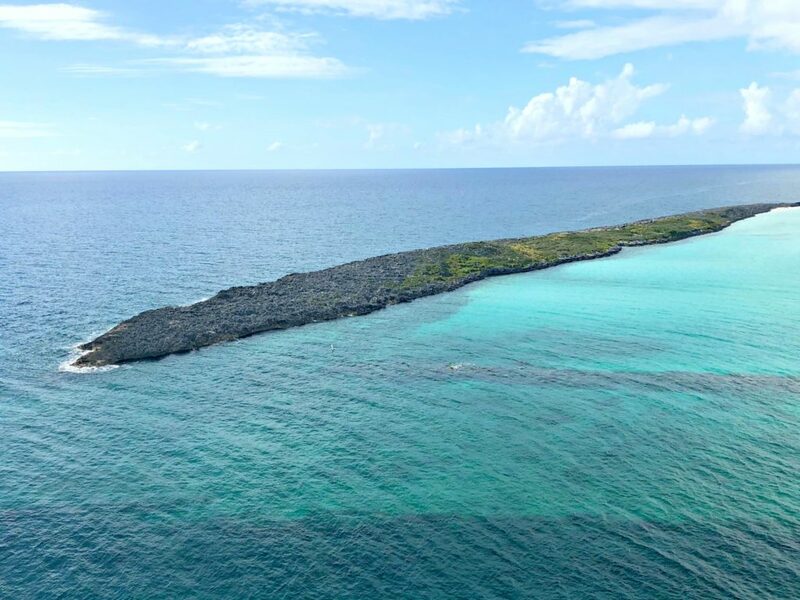 Once the ship arrives at Castaway Cay, you can disembark and find yourself in a beautiful paradise. You may think that the island is completely geared towards kids. While it does have plenty of family fun, there are so many things to do there for adults. 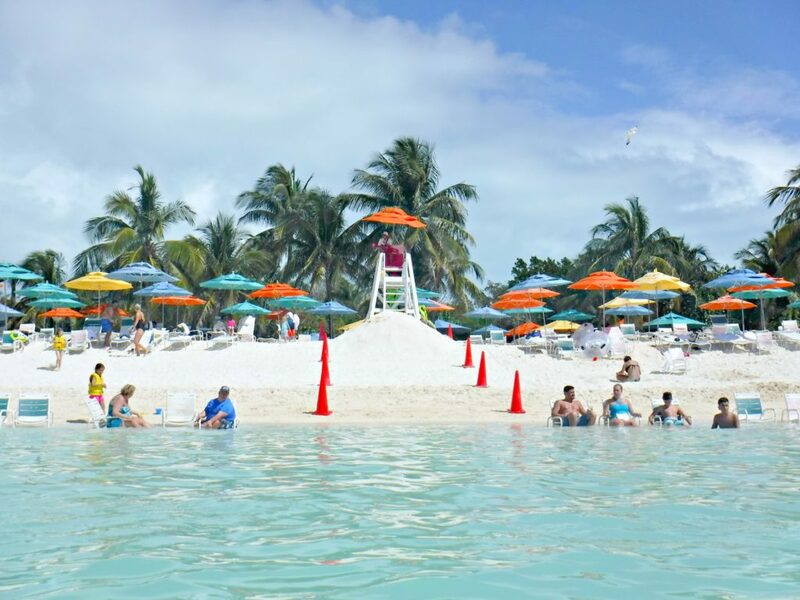 You’ll find that a day at Disney’s Castaway Cay is exactly what you need in your life. Really, is Castaway Cay for Adults? 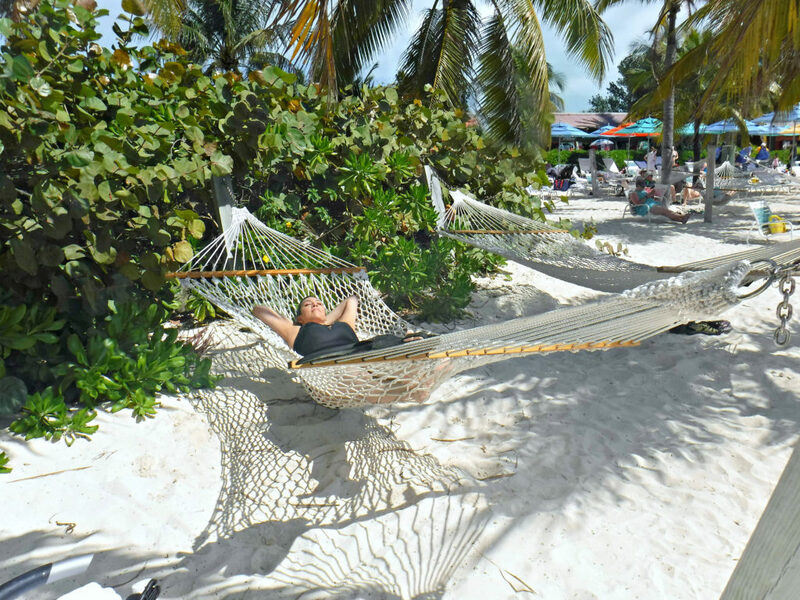 Castaway Cay is covered in brilliant white sand and swaying palm trees. Best part? It all looks out towards the bluest of blue water. Picture that, with an ice-cold drink in your hand. The only thing that you will need when you arrive at Castaway Cay is your Key to the World card. All you will have to do is swipe for any purchases that you make while you are there. Everything else will be waiting for you as you stroll onto the sand for a magical day. 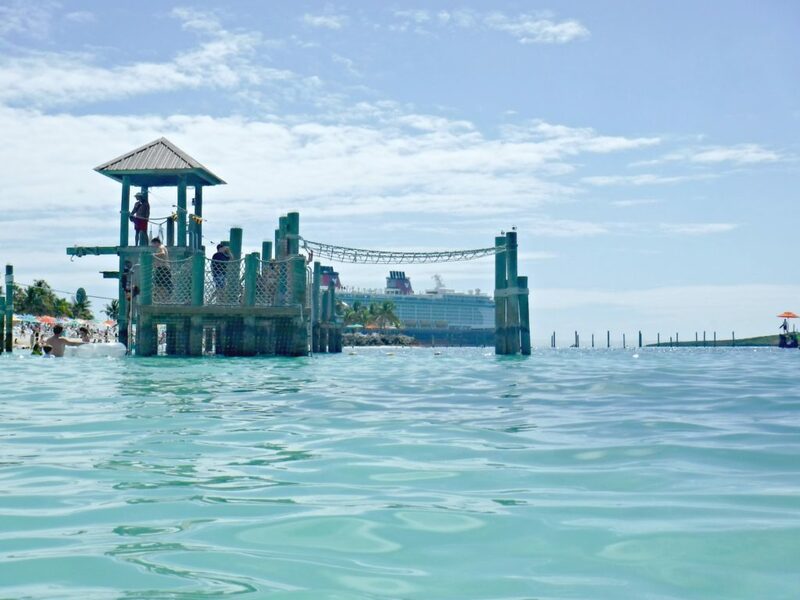 TIP: Before you get on the cruise or while on board, make sure to check out the Disney’s Castaway Cay excursions and book them before you port. If you didn’t get a chance to, head over to Port Adventures as soon as you can. 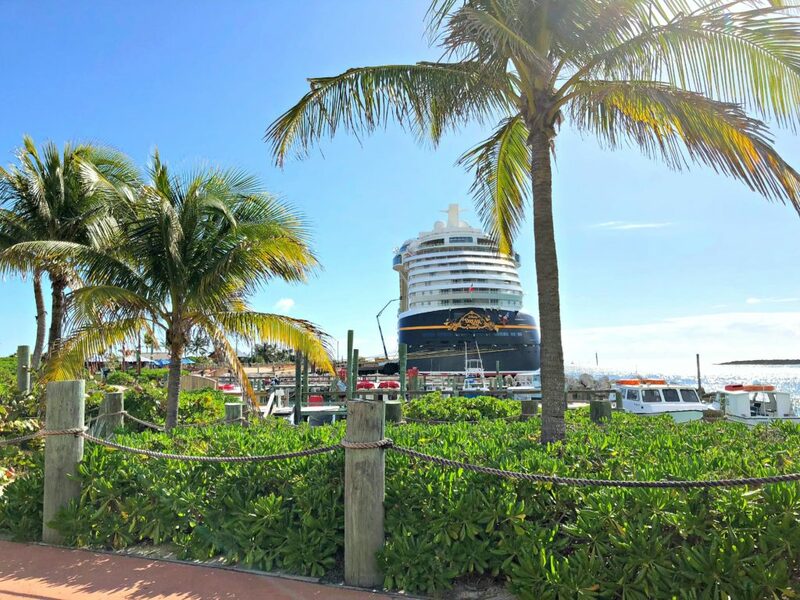 If you are planning a Disney cruise with a stop at Disney’s Castaway Cay, there are a few things that you should plan on doing while on the island. 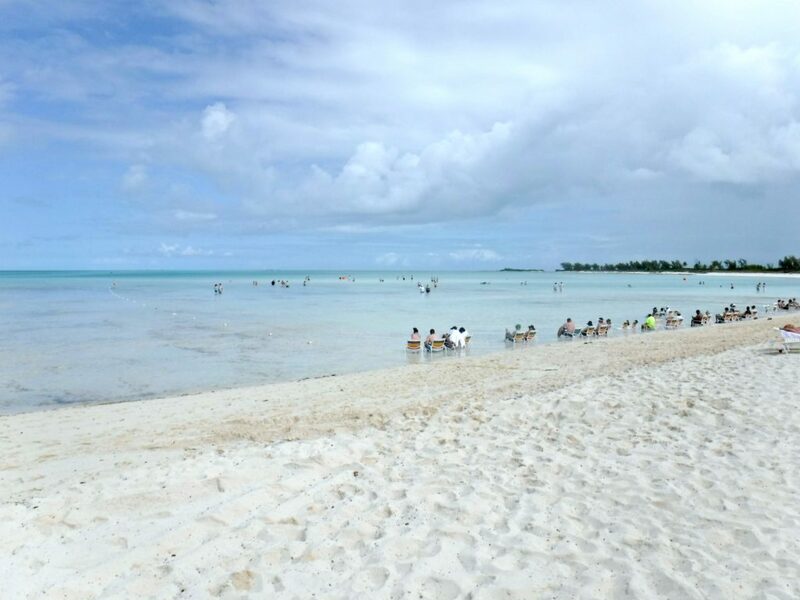 There are three beaches on Castaway Cay and you will want to pick the one that best fits your needs. The two family beaches are filled with beach chairs and umbrellas, plus there are multiple lifeguards both in the water and on the sand. At the other end of the island is Serenity Bay, which is an adults only beach and there is a private bar nestled in the sand with the beach chairs. 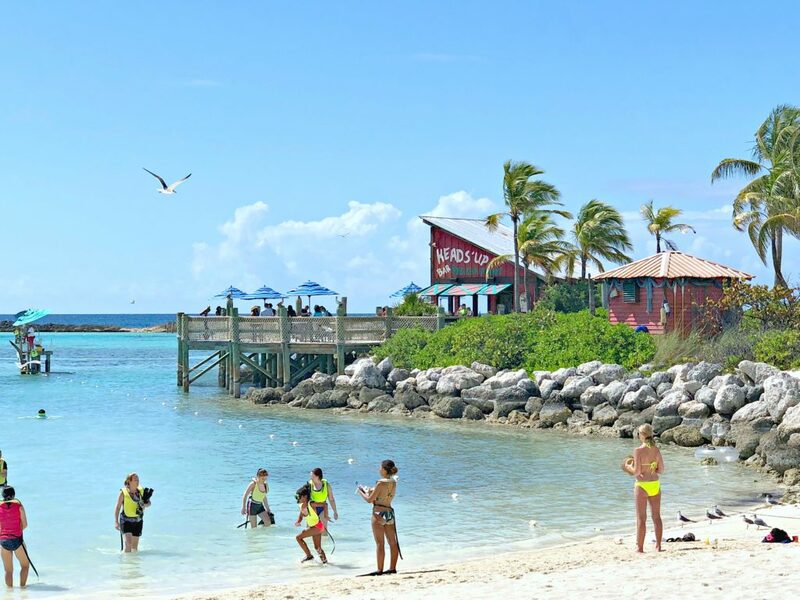 While spending time on the beach at Castaway Cay is always popular among guests, there is so much more for you to choose from. Although, not many people will turn away an hour or two sitting in a lounge chair under the bright sunny sky. If the sun is your enemy, you can rent a cabana complete with lounge chairs, table, sitting area, fridge, and a locker for all your belongings. Often times, when we are with our kids, we have to be really selective about what excursions we pick. Age or height restrictions are always something to keep in mind. But, if you’re cruising sans le children, your possibilities are endless. For a little more action, you can head over to Snorkeling Lagoon to discover the marine life that lives in the water off the beach. 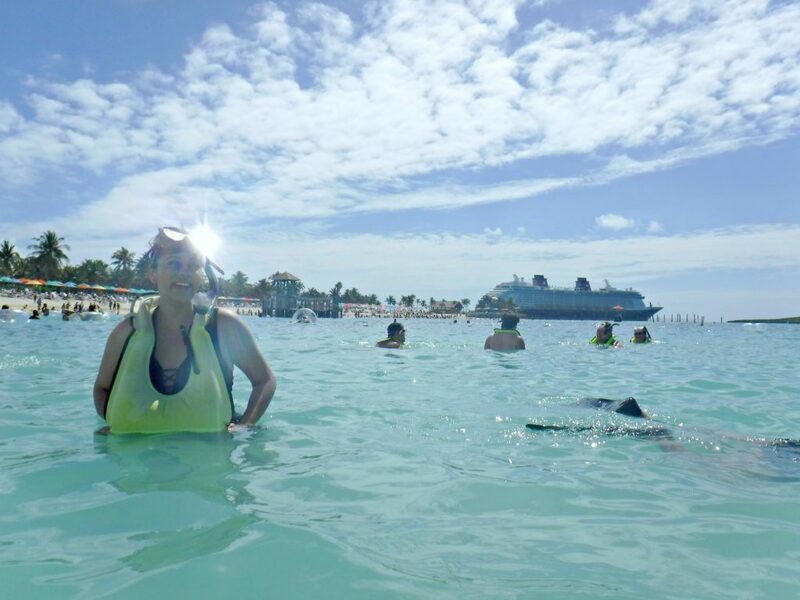 If you are a beginner snorkeler, you will want to stick to the Discover Trail, while experts can head over to the more advanced Explorer Trail. Of course, if you want to be out on the water and not in it, you can rent a boat for a few hours. You can choose from a kayak, paddleboat, an aqua trike, or a stand-up paddleboard for your fun and exciting adventures. Parasailing is another popular activity amongst the adults and you can find everything you need for it at Marge’s Barges. There are many excursions available on this island including a bicycle adventure, fishing trips, stingray interactions, and glass bottom boat tours. So in other words, there is no shortage of things to do! 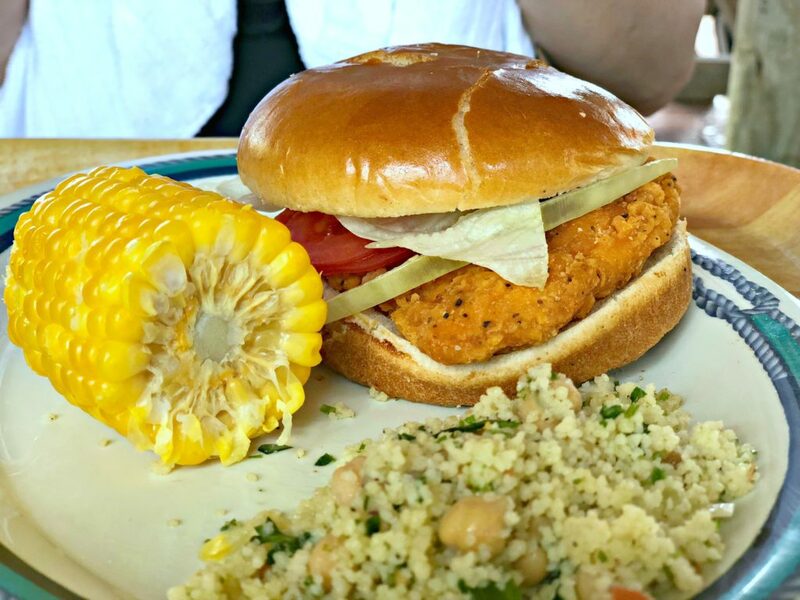 Families will love the selection of food that is offered at Cookie’s BBQ and Cookie’s Too BBQ, while adults down at Serenity Bay will enjoy some quiet time at the adults only BBQ restaurant. You need to make sure that you eat early enough though because these restaurants normally close around two in the afternoon. You don’t want to have to head back to the ship early, just because you’re hungry. The island is large and one of the best ways for you to see as much as possible is riding the tram. There are plenty of Imagineered highlights all over the island and some may only be noticeable when you are on the tram. Plus, it gives you a chance to relax your feet a bit. 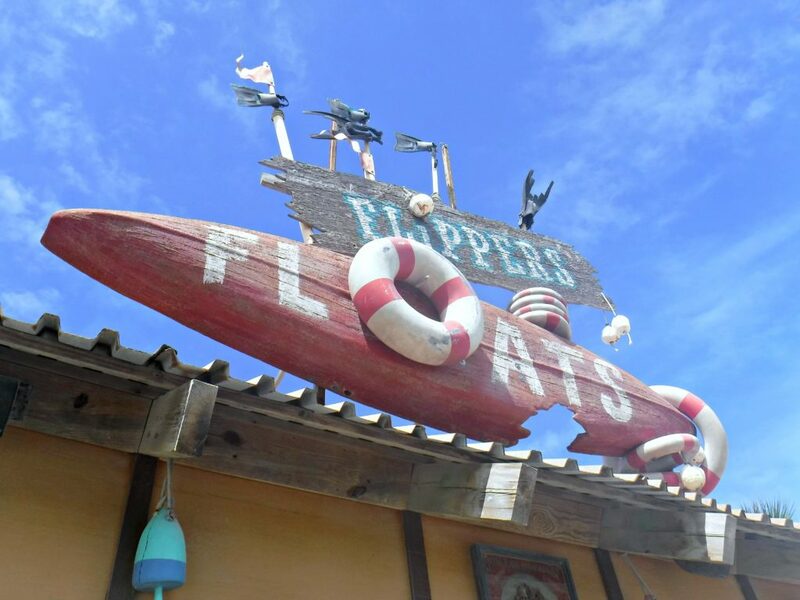 You might not think that there would be stores on a private island, but Disney has you covered! There are two shops on Castaway Cay and they both sell souvenirs as well as life’s little necessities like sunscreen, underwater cameras, and beach toys. 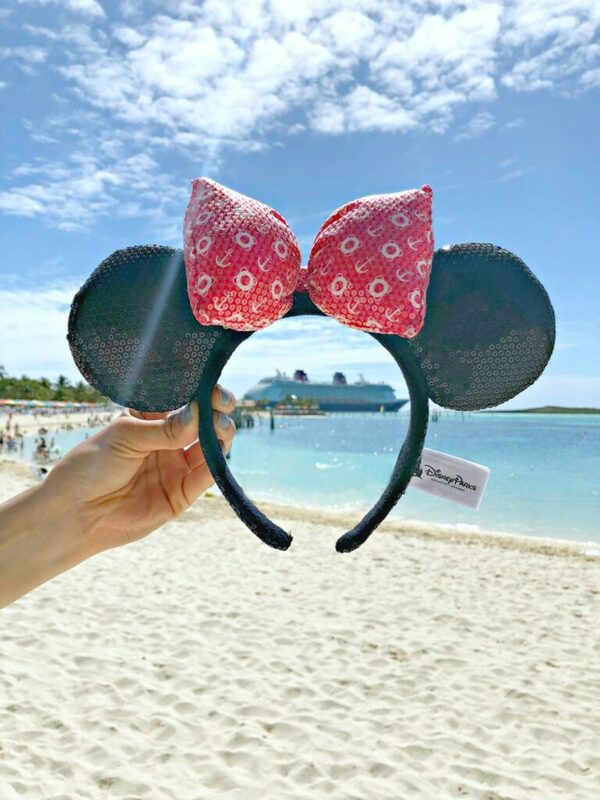 This is the only place where you can find souvenirs from Castaway Cay, so don’t leave the island without making a purchase if you want a little memento of the time you spent there. 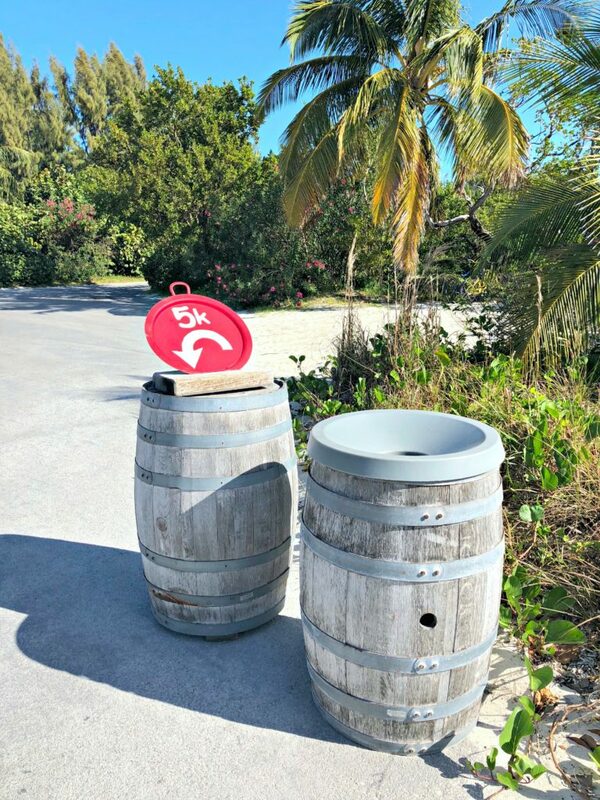 Castaway Cay and Disney have a 5K that you can participate in when you are on the island. If you decide to do the 5K, you will be one of the first people to disembark the ship in preparation for the 9 a.m. start time. TIP: Be sure to sign up for the 5K when you board the ship. Head to Guest Services or Port Adventures, it fills up quick! 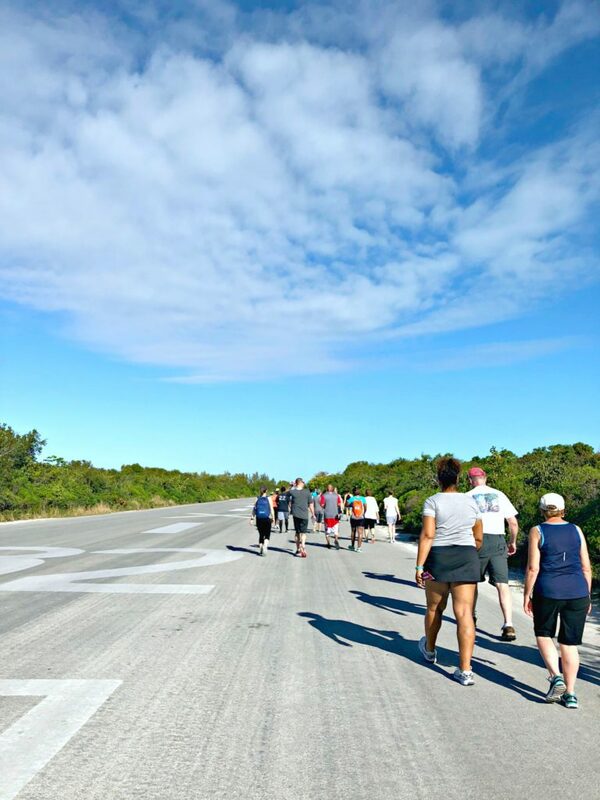 It’s a great opportunity to stay on top of your fitness and an even better way to see the island in a different perspective. 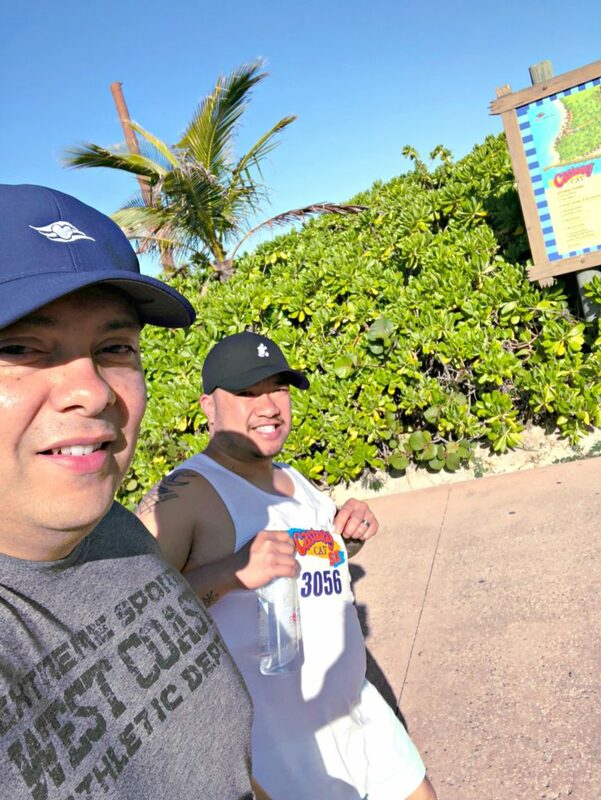 Darasak and my brother Frank walked the 5K and it was a nice little check off their bucket list. 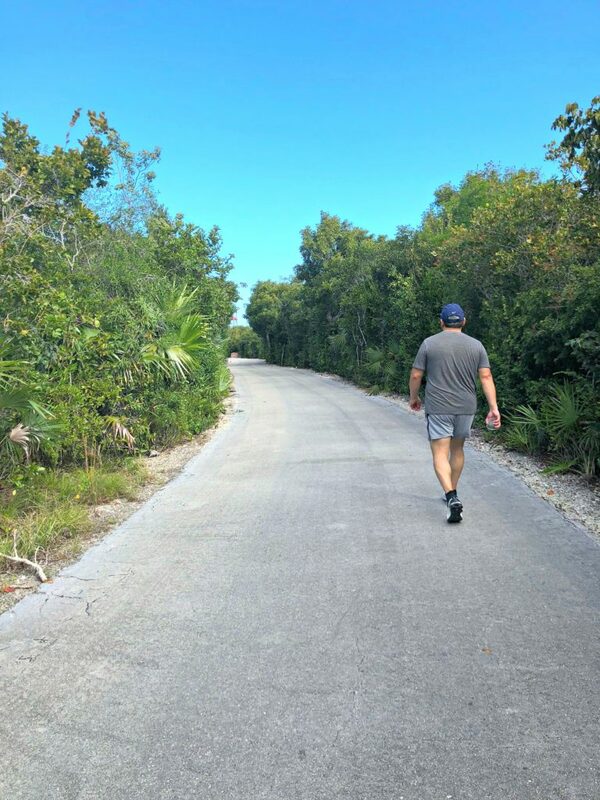 If you simply cannot find anything for free to do while on Castaway Cay or you are looking for something a little more adventurous, you can look into the numerous port excursions that are available. You can choose from parasailing, watercraft ski adventures, kayaking, fishing, Glass Bottom Scenic Voyage, and snorkeling adventures. You can rent a bicycle and explore the island. There is so much to do! Of course, you will also run into many Disney characters while you are on the island, so you will have a chance to snap pictures of a few of your favorites. One of the biggest perks of being an adult at Castaway Cay is that you can jump on the tram and head over to Serenity Bay. A gorgeous beach that is completely kid-free. 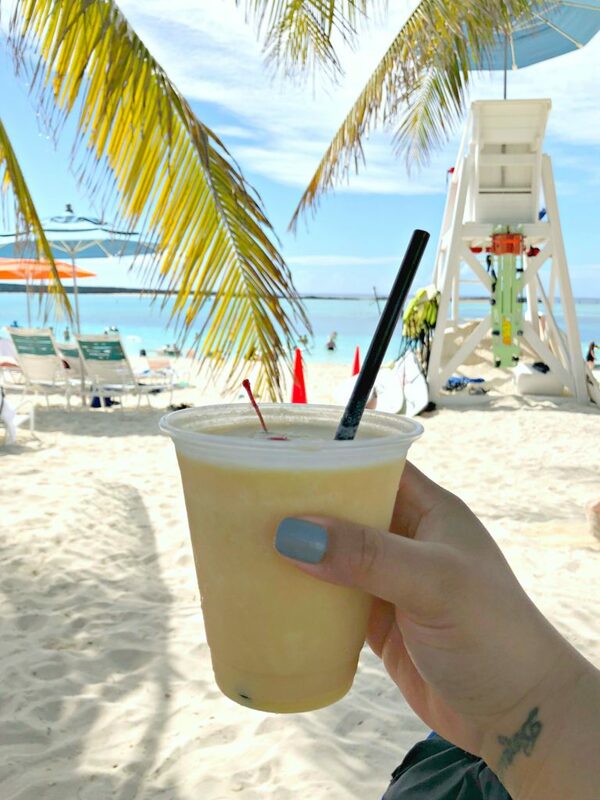 You can relax on the beach, get a tan, go for a swim, enjoy adult beverages, and just enjoy the Bahamian breeze. Check out my tips to make the most of your time at Serenity Bay. Enjoy Your Day at Castaway Cay! If you are traveling as a family and want some adult only time, you can take your children to the children or teen areas and they will be taken care while you are exploring the island on your own. Don’t worry, they will have a blast and you may have a hard time getting them to leave that area when you are ready for some more family time! 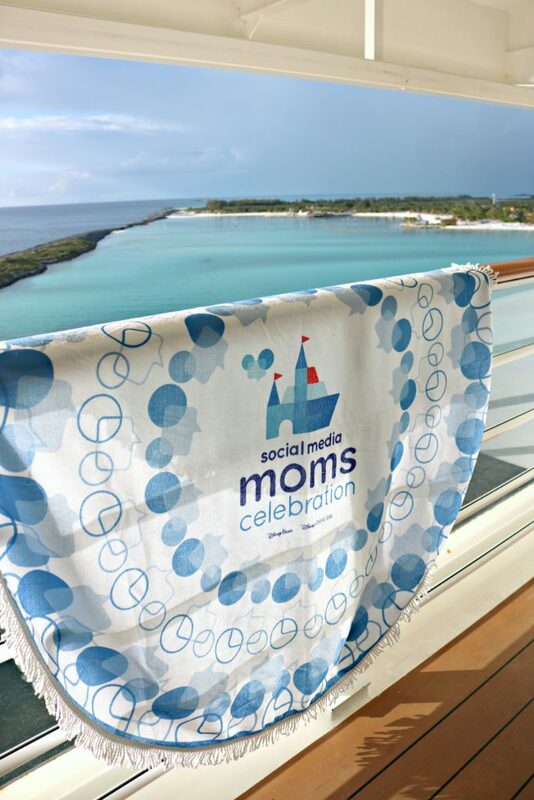 We had an absolutely amazing time at the Disney Social Media Moms Celebration. We made memories that we will always remember and we learned that Disney is amazing for kids but, it’s pretty incredible for adults too. No matter how much you love Disney, one thing is for sure, there’s a reason why Disney Cruises are top-rated. Leading for best inside-cabins, families, entertainment, and dining. If you’re still not convinced, see why Disney Cruises make the perfect adult getaway. To book your cruise, visit Disney Cruise Lines! Now, when are you booking your Disney cruise? Previous Post: « Scrumptious Boneless Thai-Glazed Chicken Thighs Recipe! Castaway Cay is the best! We loved it when we went on our cruise. And by we, I mean my husband and I. The kids had fun but I was pleasantly surprised and how adult-friendly the place is. Yes, it truly is adult-friendly. Wow this place looks amazing. I am looking somewhere awesome to take my grandsons this summer. Oooh, this would be amazing! I would be happy relaxing and drinking a pineapple drink. Such a beautiful place to visit. Oh my gosh it looks like a blast! I want to be cast away on an island forced to nap in the sun and eat good food!! Sure! You can do that there. that’s really cool. I loved the pictures! thanks for taking us along! Didn’t know Disney did cruises. Castaway Cay looks like paradise! It would make for a relaxing getaway! OMG, yes, they totally do and they are amazing! That blue water though! 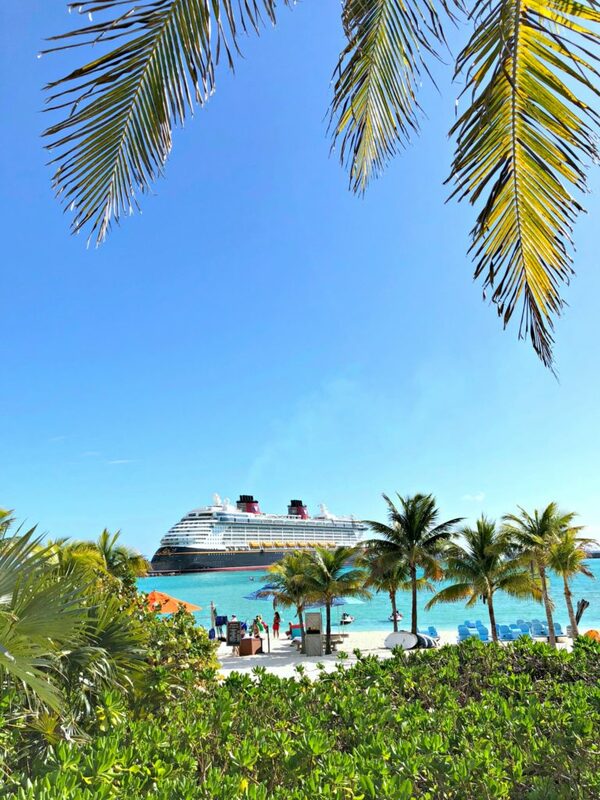 How I wish I could escape to Disney’s Castaway Cay right now – those excursions sound like a ton of fun! I would enjoy the heck out of that place. Even just relaxing on a beach chair and sipping a drink there is the life!! This is really awesome. 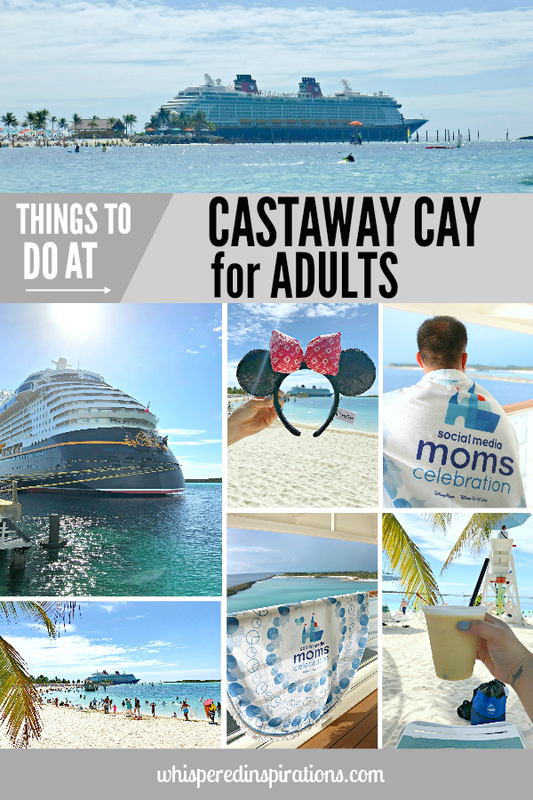 I loved reading what adults can do at Disney’s Castaway … I had no idea that there was so much enjoyment here for adults. Now, I know! Looks like a pretty amazing time! Yes, so much in everything Disney, the cruise is incredible too. This looks gorgeous and the perfect adult getaway from the kids. I didn’t know Disney offered this! Yes, they do on their cruises! AHHHH! This sounds fantastical, magical… all that amazing stuff. I am so glad you shared this! Now I am left with no choice but to book my own trip. I have heard so many great things about Castaway Cay. I’d love to go with the family and enjoy some time swimming and relaxing. It looks gorgeous and sounds like you guys had a blast. Wow! Looks like you had an amazing trip! I’d love to take my kids on a Disney cruise in the next year or two! I’ll definitely keep your advice in mind! For sure, do not forget to have some ADULT fun too! Oh wow! This place looks heavenly! I love how blue the water is! Loved the cruise! Such a gorgeous day and so much to do! Looks like so much fun! I would love to visit this exotic Disney island. That hammock looks like a great place to relax with the sea breeze blowing by. Yes, it is so relaxing. It looks like you had a wonderful time! I love the picture of you with the Minnie Mouse ears on, so cute! With our kids all being grown and out of the house I love the “for adults” idea. Yes, we had a blast. While 3 of us are HUGE Disney fans, my brother loves Star Wars but, when Mickey came around, well–you cannot resist. These are really awesome tips! This should be on our bucket list this summer! Yes, or any time really! I want to go here so badly! This looks like such a fun experience. The water is so amazing!!! 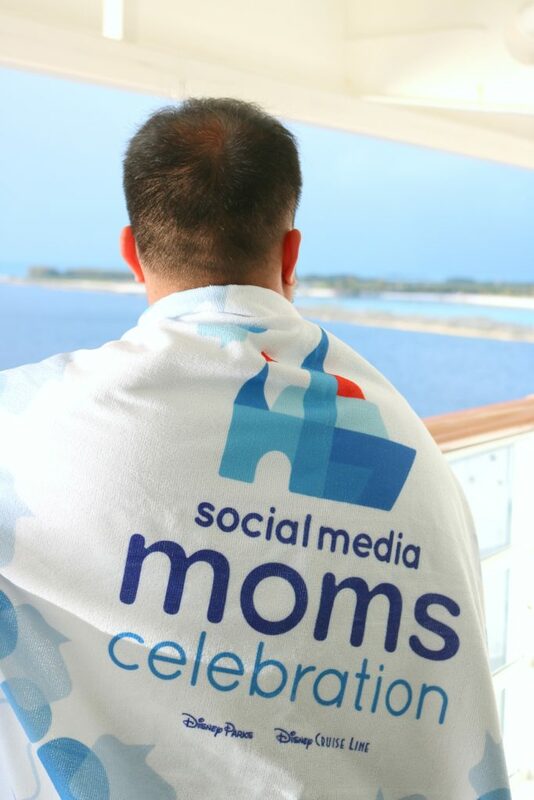 Also Disney Social Media Moms know how to throw a party! I always follow along on the Twitter feed. It is so beautiful there! Yes, they are amazing. Always deliver fun AND learning. I was invited to the Disney Social Media Moms Cruise this year but I couldn’t go due to my press obligations coincidentally with Disney for the Wrinkle in Time Press trip! 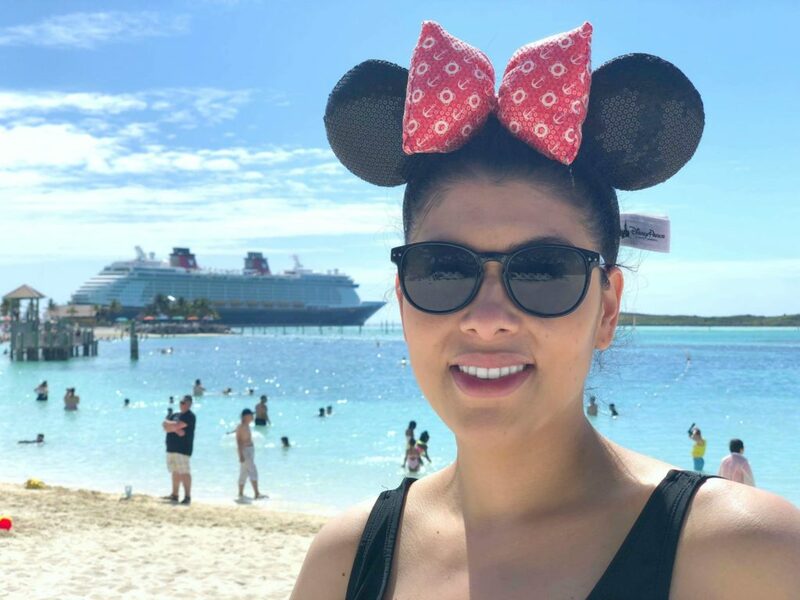 Why didnt anyone tell me the Disney castaway cay was amazing before for adults, I had no clue but one day I am looking forward to visiting myself so thanks for your detailed recap! I did see the Wrinkle in Time event, it looked AMAZING! Castaway Cay sounds like heaven. I would love to visit Serenity Bay for some adult time. You’ll find me relaxing in a lounge chair with a pina colada in hand. I need to go on a Disney Cruise. Yes, that is EXACTLY what I did but, with a Konk Cooler! This sounds wonderful! We are thinking of taking a Disney Cruise (probably in February 2019 – the prices seem to drop in that month). I would love to hang out on the beach while the kids played and I definitely want to eat some of that BBQ! I’ll have to tell my mom and sister-in-law about the 5K – they love running! Thanks for this post and the lovely photos. I pinned to have for my vacation planning! Yay, so happy that you will be going soon. Hope you enjoy it as much as we do every time! Lovely photos! The place looks so wonderful. I am convinced that it I need to visit it soon! Awesome, hope you can soon. This looks like such a blast! I’ve always wanted to either to Disneyland or go on a Disney cruise. I say, try a cruise! What an incredible experience! I would LOVE to go there one day. This looks like you had so much fun. I am really jealous. I’ve always wanted to go to Castaway Cay! It is so much fun! Hope you get to visit soon. It is Disney’s private island, you stop there during your cruise. Oh this place looks wonderful for the whole family! There are so many great activities and the food looks awesome! There is so much to do, that is for sure. This looks like such a fun place to just relax and have fun. That is not too far from where I live too! WOW, that is amazing if you live in the Bahamas! I want to go, I want to go, I want to go! I think this sounds like a wonderful place to visit. I always say I want my first cruise to be a Disney cruise. It is magical, luxurious, and so worth it! My son and his family recently spent a few days there and had a blast. I love all of their photos as well as yours and can’t wait to go myself. Yes, you totally have to go! Awwwe this looks like you had a great vacation. Everything about Disney is spectacular! This seems like such fun. Wow, who knew there was so much to do in Disney Castaway Cay for the adults. We’re planning a trip with the kids sometime in the summer. Can’t wait to check it out. You can still have adult fun with the kids, that is the beauty of it. I actually had no idea Cast Away Cay existed, so glad you posted about this. What an amazing place. I definitely see myself laying on that beach with the hubby– relaxing, enjoying and exploring. Thanks for sharing this.